With New England’s hard-core winter weather just week away, there’s still time to have your vehicles inspected by a professional to make sure everything is working properly. Unfortunately, it won’t be long before car accidents in Massachusetts begin to happen more frequently because of nasty weather. But our Boston car accident attorneys know some of them can be prevented when vehicle owners take the time to be prepared. Also, a vehicle breakdown on the road could leave you at risk of being hit by oncoming traffic. 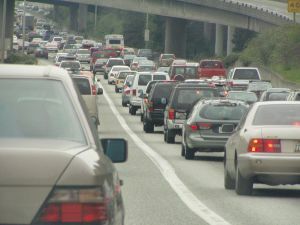 Some of the statistics regarding vehicle breakdowns and other road-related issues are staggering. Take for instance the December holiday period in 2009-2010 alone. AAA Auto Club South had 96,000 service calls in the two-week period that began Dec. 23, 2009. More than 21 percent of those calls turned out to be battery related issues. That was a big jump from 2008’s calls for battery problems, according to the motor club, which serves members in three states and Puerto Rico. If you’re like many drivers, you know that sinking feeling you get when your vehicle won’t start, especially when it’s cold, icy and at night. And if you’re out alone and have no roadside assistance plan, it’s even worse. You can try to avoid that frustration by having your car or truck battery tested now. It’s simple, quick and most professionals won’t charge a lot for the service. In fact, many auto repair facilities offer a multi-point safety inspection for your vehicles. They’ll test the electrical system, tires tread, fluids, and other areas that could affect your safety and leave you literally out in the cold. Hoses, belts, cooling systems and water pumps. Mechanical failures of these critical parts can leave you stranded roadside anytime of day or night without prior notice. Tires and tire pressure. Have a mechanic measure the tire tread depth of each tire so you can determine whether you need new tires now if it can wait a few months. Also, when temperatures go down, so does the pressure in your tires so check tire pressure monthly. Charging-system checkup. Another part of your vehicle that is negatively affected when the temperature drops is the battery. In winter, vehicle engines require more starting power. -Gloves, blankets, hats, some nonperishable foods, and when you can, bring some water for those longer trips in case something does happen. It takes just a little time and some planning ahead to help ensure you have worry free, and hopefully accident-free, winter driving experiences.